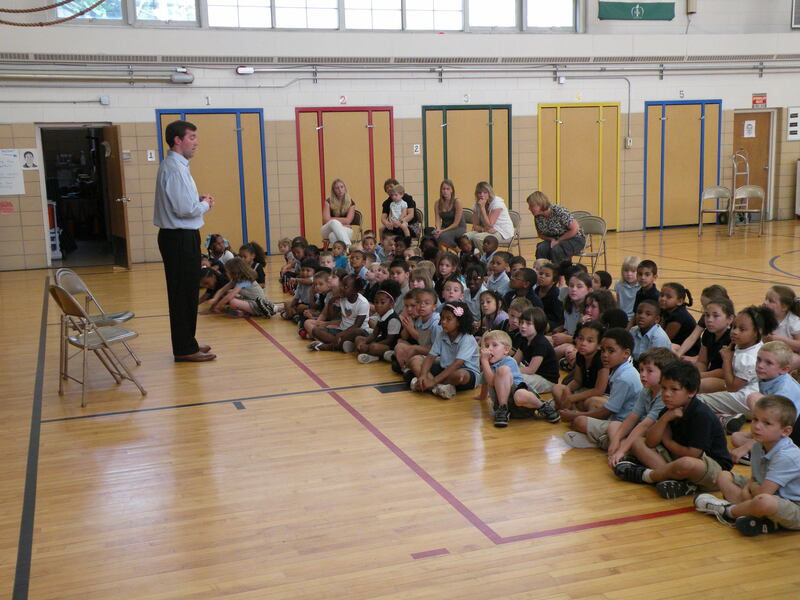 This afternoon, numerous members of the Tigers visited Wequonnoc Elementary School in Taftville for an important assembly for the students. 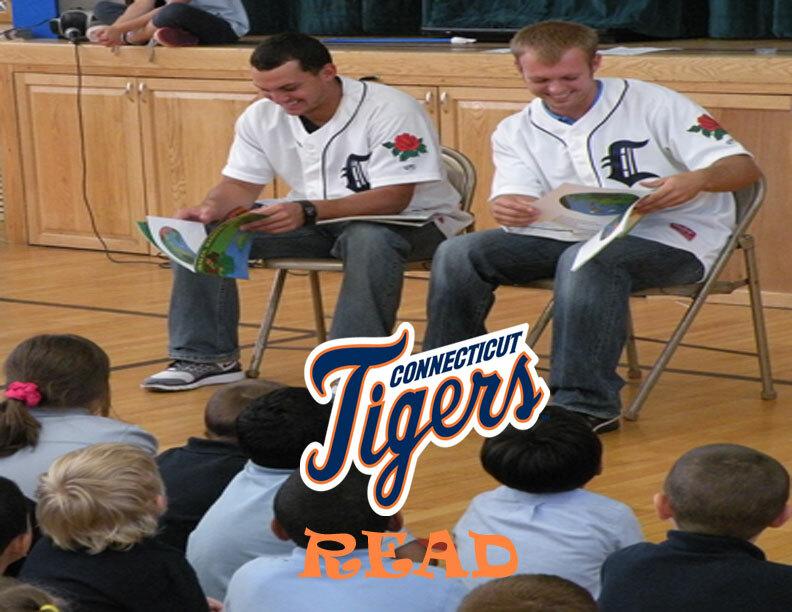 Along with Tigers General Manager Andrew Weber, Director of Community Relations and Promotions Dave Schermerhorn, Tigers players Colin Kaline and Clemente Mendoza promoted the importance of reading. 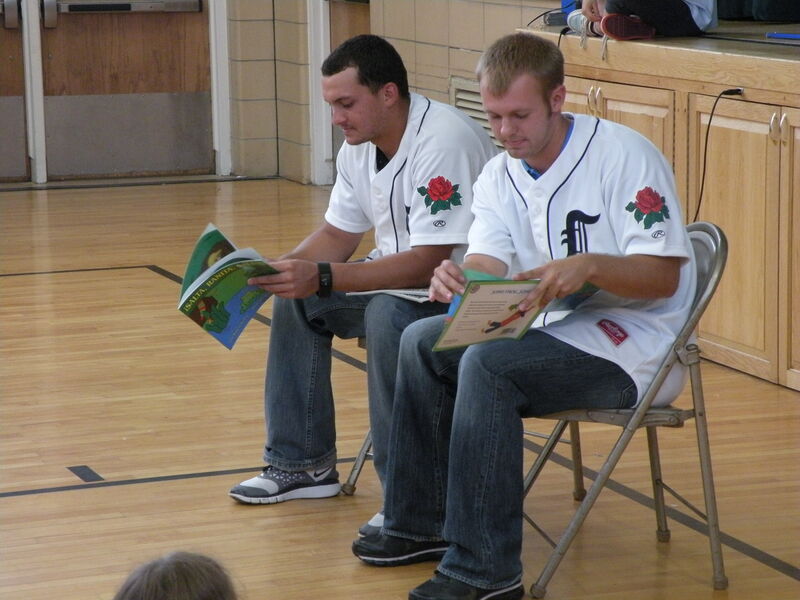 The players read numerous books to the children; Colin in English and Clemente in Spanish. 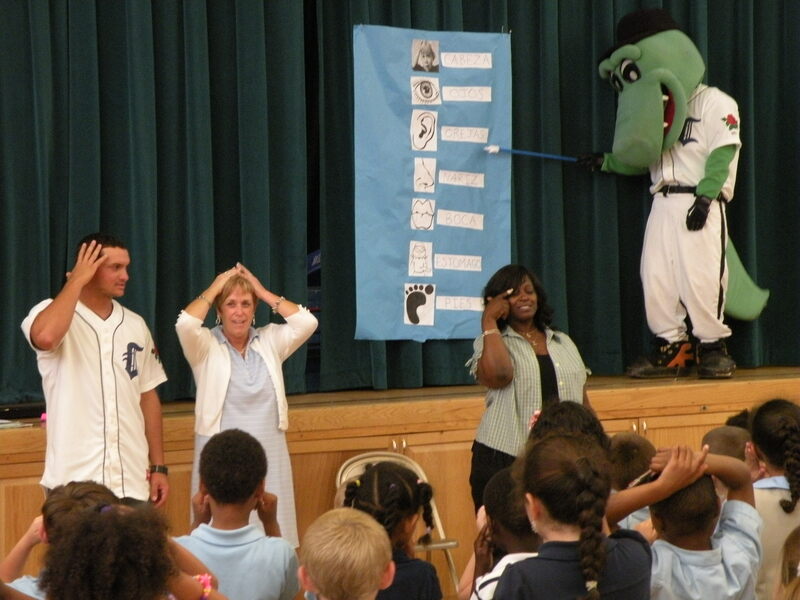 Along with Tater, “Everyone’s Favorite Gator”, the players also led the students in many songs, including “Take Me Out to the BallGame”. 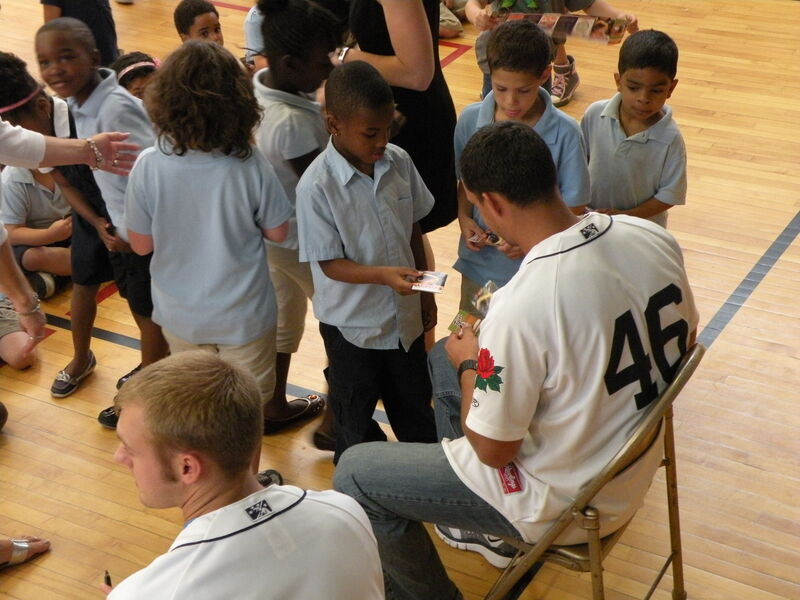 Afterwards, Tater, Kaline and Mendoza interacted with the youths and signed autographs.